Containing no added chemicals or bleaches, Hornet All Natural Pre-Rolled Tips are the perfect solution for those who want a natural smoke. Made with natural paper and natural gum, these pre-rolled tips have a diameter of 7mm and are 18mm long, making them prefect for rolling your own cigarettes. 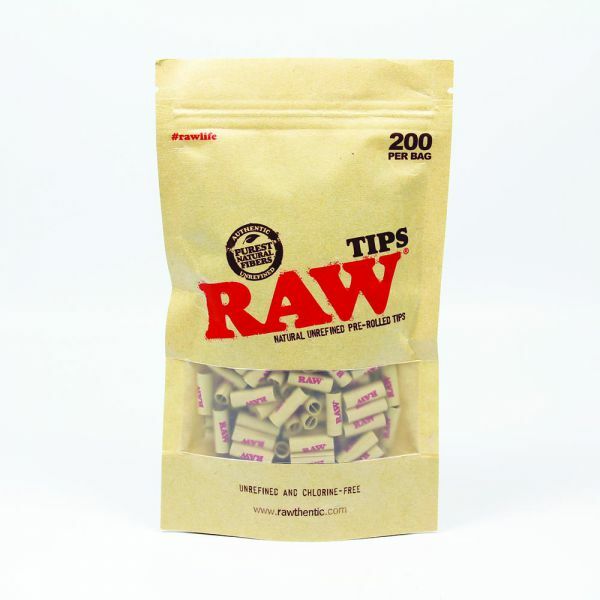 With 120 pre-rolled tips in the box there is enough to keep you going for a while, with the knowledge that there are no added chemicals or bleaches making them more environmentally friendly. 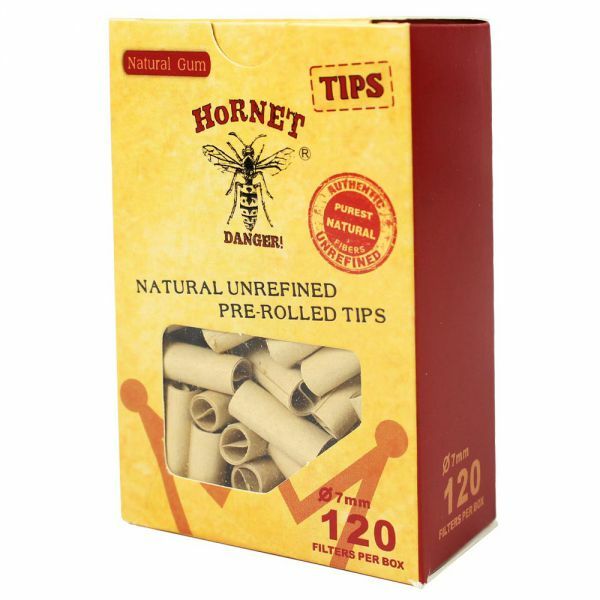 Hornet All Natural Pre-Rolled Tips are available now for just £4.49 per pack, and why not add in some Hornet All Natural Kingsize Slim Papers too, to create the perfect natural smoking experience. 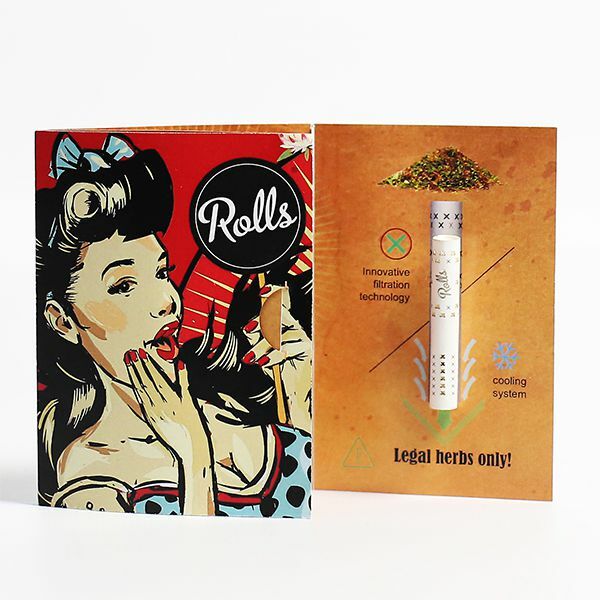 Rolls Smart Filter – a revolution for herb smoking! The Rolls Smart Filter is one of those inventions that once you start using you’ll never go back! Specially designed for use with herbal mixtures, this smart filter features an innovative filtration system that prevents debris from going into your mouth and provides a cooling effect making it a smoother smoke. The perforated design keeps the filter in place, producing a great pull all the way to the end and eliminates most impurities locking them inside. The ergonomically designed filters are easy to roll and hold, providing to be easy to hold, providing a great smoking experience every time. Rolls Smart Filters are available now for 25p each or 5 for £1.00, order yours today, you won’t be disappointed! Serious smokers and lovers of the cool relaxing use of bongs need no introduction to the Roor Company that produces the famed high-end borosilicate jointed-glass bongs, brainchild of Martin Birzle, a German glass-blower. 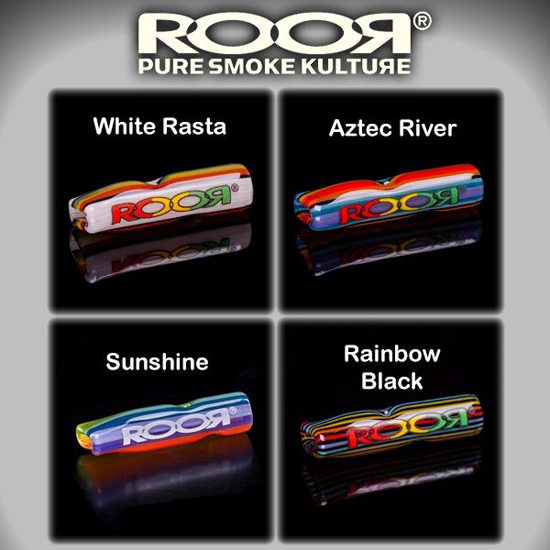 So when smokers were looking for a high quality tip for their hand rolled smokes, you can imagine their delight when Roor teamed up with Cypress Hill and came up with a limited edition of the Phuncky Feel Tip. 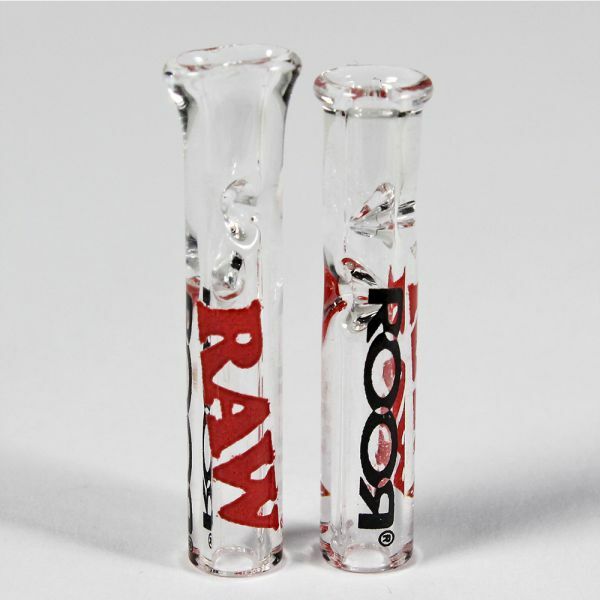 These Phuncky Feel Tips are made from high quality borosilicate glass which we can say is typical Roor. What makes these tips so special is that they are completely reusable unlike the card tips that many have previously chosen. 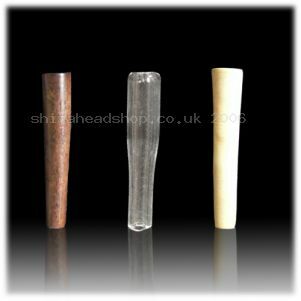 We offer the 3cm long Phuncky Tip in four designs; you have a choice of White Rasta, Aztec River, Rainbow or Rainbow Black. The tip is supplied in its own handy carrying case and protect in the case with foam. We know that certain plant extracts such as tobacco when smoked produces a residue of tar and although our lungs can filter very effectively the air that we breathe and need, a smoker inhaling an excess amount can overload our body’s own filtering mechanism and the lungs can become contaminated with the tar. This is why we believe that the Newport Mini Filter is such a great idea and ii is designed to remove a large amount of this tar, around 60% in fact, along with other particulates and it will not impair the flavour of your smoke. One of the clever things about the Newport Filter is that it has a red indicator which will let you know when you need to replace your filter, which will happen as the red disappears from the filter. This great idea is designed to take the guesswork out of when to replace the filter, so you will not be getting an increase in tar by not replacing soon enough and also not wasting money by replacing the filter whilst it is still working effectively. Using the Newport Filter is easy, just push the cigarette firmly into the filter right up to the red part and when smoking use the filter as a finger hold and just grip the filter with your teeth or mouth. 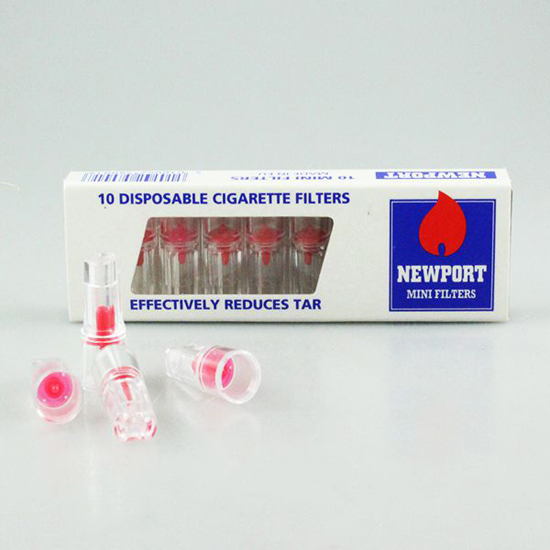 Use the filters with 8mm cigarettes only, and depending on the brand, the Newport Filter will last for between 5 and 10 cigarettes. Offered by us at just £1.49, using the filters works out as little as one and a half pence per cigarette, a small price to pay for a clean flavoursome smoke. Amsterdam coffee shops, not to be confused with cafés, have been a part of the city since the 1970s, now if you still reminisce about your trip to Amsterdam; it is possible to partially relive this using the official items such as Bulldog Perforated filter tips. 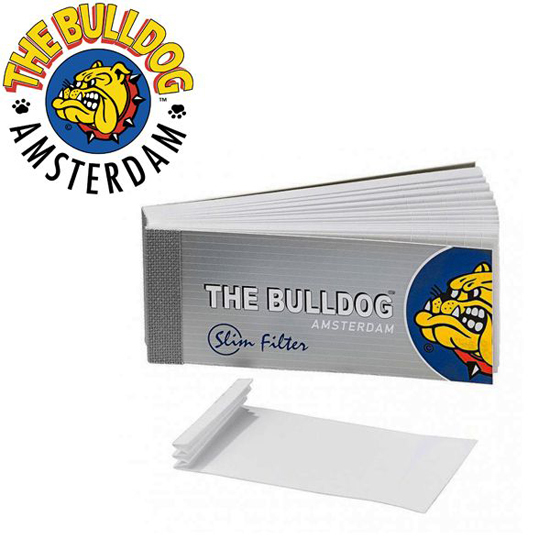 Now we know that these Bulldog Perforated Filter Tips are used in their millions by smokers visiting The Bulldog Hotels and Cafes over in Amsterdam this being the case then they have to be good! The perorations ensure that you will get the perfect roach every time as easy as possible. Using these perforated tips means that you have the ability to easily create a ‘Z’ shape in the centre of the roach. By doing this you do not get those annoying bits coming into your mouth through the roach. The Bulldog Amsterdam paper filter tips are great to have on hand when rolling, with each booklet you get 35 tips, but if you like skinny joints, then just tear them down the middle lengthways and you can get twice as many for your money. Speaking of money, we are offering these for just 69 pence and if you buy five books, we will throw one in completely free of charge. Ask anyone who has used one of Mary’s activated filters and they will tell you that the result is that the filters not only gives a more pleasant flavour but also reduces the amount of harmful toxins and tar that you inhale. The same can be said whether the carbon filter is used for your roll up or whether you use it in a small pipe. The Mary carbon filter, unlike some other filters has a ceramic ends instead of plastic which allows you to use them either way round, this ceramic end guarantees that you will have the cleanest smoke possible. The filter tip is 36 mm long. 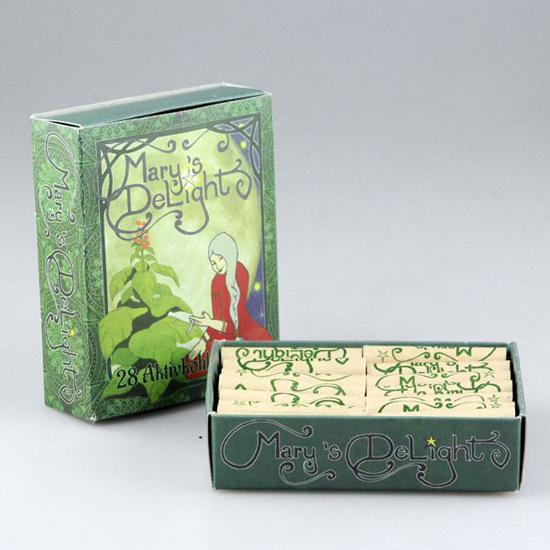 Mary’s Delight Activated Carbon filters are available in packs of 28 and when the smoke passes through the filter a large portion of the harmful tars in the smoke sticks to this ensuring that the smoke is smooth and pleasant without affecting the buzz that you get from it. So the benefits of using Mary’s delight carbon filters are that they will improve the taste of the smoke, reduce the amount of tar that reaches your lungs, if using a pipe it will keep clean longer, ensure that harsh brands will taste smoother, great benefits for just £2.99.